Beloved and respected Melbourne rock outfit Antiskeptic have returned after six years on the bench! 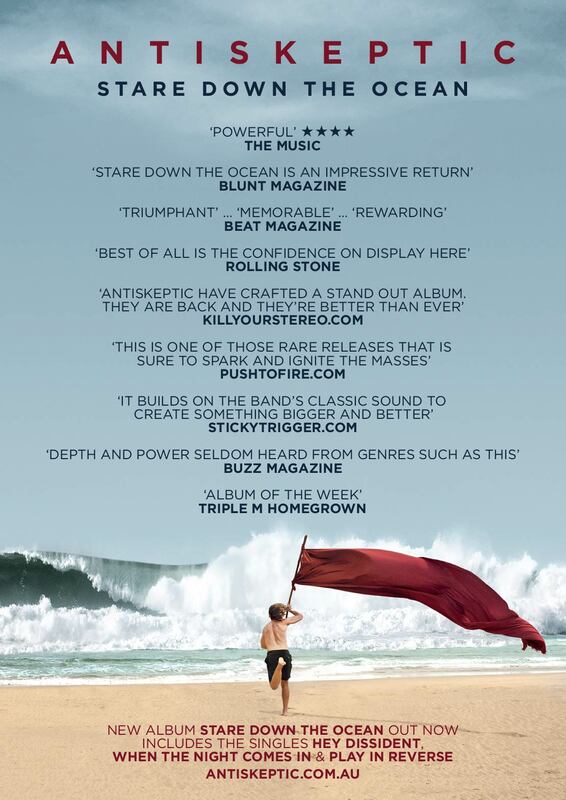 Hard work, determination and a resilient attitude have seen the band return to top form, in time to unleash their aptly titled, epic third album Stare Down the Ocean, out independently on 19 September. Formed out the back of a record store in 1999, Antiskeptic shot to the forefront of the early naughties’ rush of exciting Australian rock bands like Gyroscope, Kisschasy and Parkway Drive. Their impressive nine year run saw the band release two albums, tour relentlessly and gather a hugely dedicated fanbase. In 2008, the band drew the curtain on this dream run, with a sold out Melbourne Hi Fi Bar show filmed for a gorgeous DVD release. 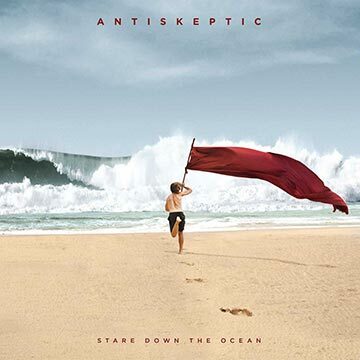 Adored for their famously exciting and energetic live shows, Antiskeptic’s fanbase have stuck with them since the act’s disbanding, so much, so that they assisted in funding Stare Down the Ocean via successful Pozible campaigns that raised over $20,000. Working closely with admired producer Forrester Savell (Karnivool, Dead Letter Circus), Antiskeptic have crafted their most cohesive and anthemic release to date, highlighting singer/guitarist Andrew Kitchen’s signature soaring vocals, catchy melodies and emotionally resonant songwriting.